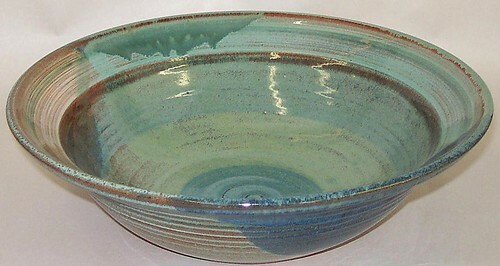 This pottery piece is a handmade, uniquely oxidation-fired, Extra Large Serving Bowl, made exclusively by Lee Siegel of All Fired Up! Pottery. 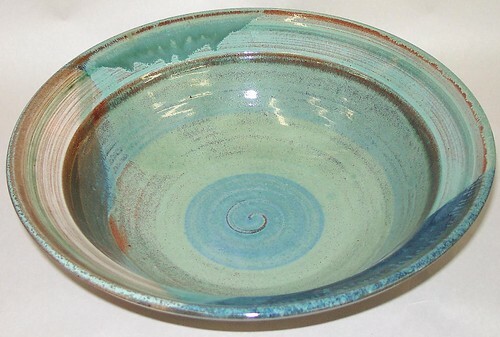 This one-of-a-kind, creative, and handcrafted Extra Large Serving Bowl features many different vibrant colors, textures, and designs that emerge only by using an Oxidation-Reduction firing technique. 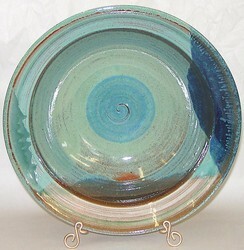 This piece is fired in an Electric Kiln. MAKE SURE TO CLICK ON THE "MORE PHOTOS" BUTTON TO SEE MORE BEAUTIFUL PICTURES OF THIS PRODUCT! Here you can order great American Made Pottery made by All Fired Up! Pottery with our fast, safe, and secure website.